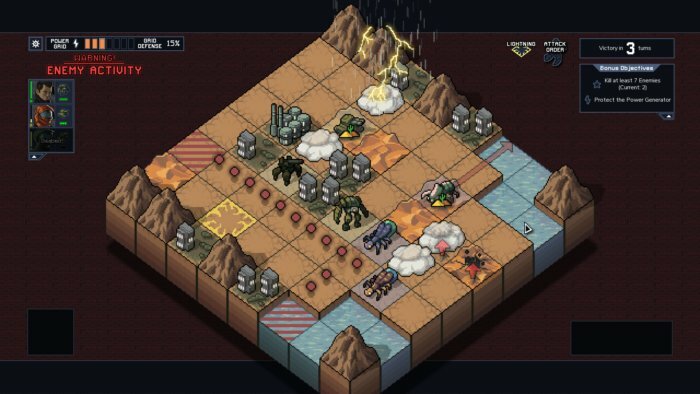 Into The Breach comes from the creators of Faster than Light. The new effort of Subset Games, full of Robots and giant insects. In the new Subset Games title, we will guide what remains of the resistance against an invasion of giant insects coming from the subsoil, trying to complete the missions assigned to us on different islands of the planet now in destruction. As our adventure begins, we will be asked to select the desired Mech team. You will have to drive teams consisting of 3 mechs in 8×8 maps and complete several objectives in each aisle. Each Mech is driven by a pilot who mission after mission will level up, obtaining special skills that will give tactical advantages on the battlefield. As for the mechs, their upgrade will take place through the installation of reactors (reminiscent of the upgrade system of the Faster than Light spacecraft) that you will find during the missions. Our goal is to try to preserve the buildings that are the preferred victims of the giant insects, and if they suffer enough damage is game over. 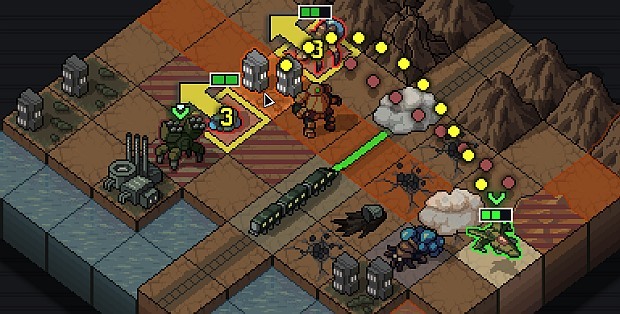 The peculiarity of the Into the Breach fights is that we can see in advance the moves that the monsters will perform in their turn and we will have to hinder them by choosing whether it is more appropriate to let a mech hit rather than a palace and so on. Every single game will not be long, in fact, you can get to the final mission in a few hours. But the interesting thing is that after each game you can unlock new pilots and earn COIN to unlock new MECH teams. The difficulty level is not in any way comparable to that of Faster than Light, in fact, you will manage to get to the final mission much more easily. This does not mean that the game is easy but offers an honest level of challenge. The longevity is very high since to unlock all the mechs and discover and unlock all the pilots it will take hours and hours of games. It will, therefore, be very easy to want to start a new game. Lots of stuff to unlock.